Settembrino Architects was hired by the County of Cape May to design the new Stone Harbor Branch Library to match the vernacular architecture of the Borough. 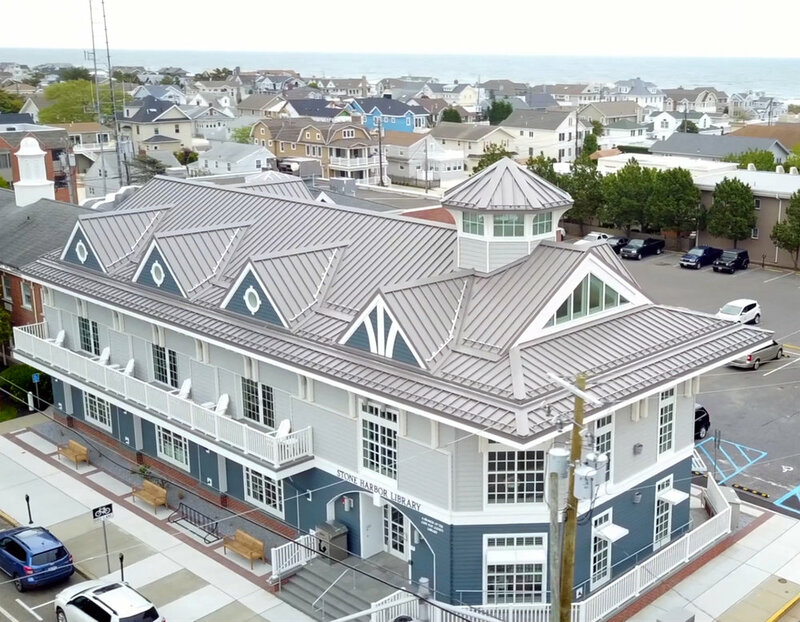 The design incorporates the brick veneer of the municipal building and the composite, lap siding details of Stone Harbor buildings. The standing seam metal roof, the cupola, the knee braces, and the window detailing add to the richness of the design. 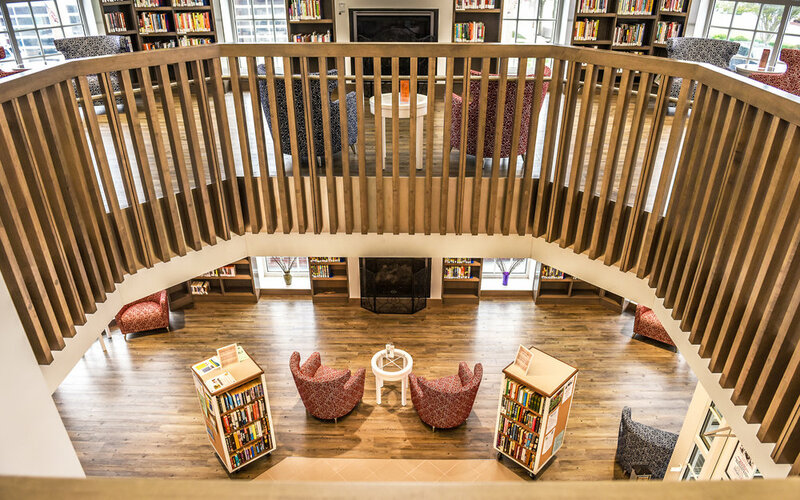 The first floor public library, which includes a double height entrance and reading room, provides access to second floor conference rooms, a demonstration kitchen, a reading gallery, and an outdoor balcony.